NEW BMW X3 M COMPETITION. Explore without limits with the new BMW X3 M Competition. 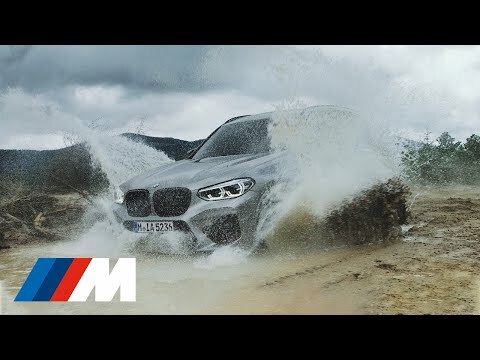 With the off-road capabilities known to X models and the racing strength of BMW M power, the all new BMW X3 M Competition delivers thrills at every turn. Bringing racetrack performance to everyday life, it's time to discover a ride that can take you almost anyway and quickly. Launching in September 2019. Register your interest today. THE BMW X3 COMPETITION IN MORE DETAIL. The BMW X3 M Competition is the epitome of power. With a TwinPower Turbo 3.0-litre six cylinder petrol engine, it goes from 0-62mph in only 4.1 seconds. It brings new levels of joy to the journey with it's range of innovative performance features, including the new M xDrive system with M Active Differential so the driver can experience the thrill of rear-wheel bias driving. The BMW X3 M Competition has been designed with performance in mind, with its sharp lines and streamlined contours. The black tailpipe finishers and slightly increased bumper refine the confident design along with the 21" M Light alloy wheels, M Brakes and Adaptive M Suspension. Building on already impressive models, the X3 M Competition takes practicality and performance to a whole new level with a range of impressive features and technologies. This new model has used 3D printing technology to provide a range of parts to improve performance while minimising emissions. The M Sport Exhaust system optimises performance while also emitting an extra sporty sound. This is fitted as standard and complements the meticulously designed, new model. The BMW X3 M is being launched in September 2019. Register your interest now.